MgO Systems was born of fire…a catastrophic house fire in the middle of winter 2010. 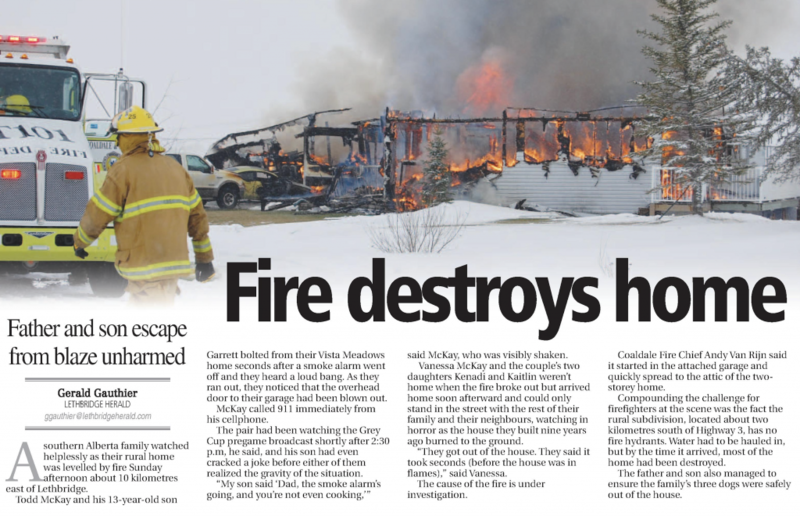 What the McKay family witnessed first hand that cold November day has become all too commonplace…a faulty electric heater, faulty plug, gas leak, carelessness with a stove or a neighbours unattended cigarette late at night sparking a flame. That flame then rapidly spreads filling the house or apartment or hospital with toxic fumes and smoke and in a matter of minutes before the fire department can arrive everything is engulfed. November 10, 2010. Minutes to get out and an hour later just charred remains. And so the journey began. The journey to develop a team to develop and find solutions to address the challenges of traditional construction materials and methods. Team MGO. A diverse group of experienced professionals is rising to the challenge, developing innovative construction solutions & technologies. With a foundation of chemistry and leading-edge prefabrication techniques we are tackling construction challenges head on. For too long we have lived, worked, healed and played in environments built to minimum standards of quality, longevity, safety and environmental impact…and we believe it is time for a change! We continue to build schools, homes, clinics and commercial buildings to the bare minimum standards and watch as fires, floods & catastrophic storms inflict billions of dollars of damage to property every year. The National Fire Protection Agency (NFPA) recently reported that U.S. fire departments responded to an estimated 358,500 home structure fires PER YEAR during 2011 and 2015 and on average, seven….seven! people die in U.S. home fires each day. Every fall we see the effects of catastrophic winds and flooding from hurricanes and the billions of dollars of damage and human suffering as people lose their homes, schools and places of business. Yet we continue to rebuild using the same methods and products we always have. And on that note the Economist recently estimated that in the U.S. alone “American builders’ productivity has plunged by half since the last 1960’s” while productivity in every other industry has improved substantially. At MGO we’re committed to change. We have invested heavily in research and development of new building technologies and implementing the best prefabrication capabilities to deliver higher performance custom solutions to our clients and partners. Our current C3 Engineered Wall System™ and C3 Fireboard™ will soon be joined by further leading-edge solutions to be introduced in early 2019. A wise man once told us…if we’re not innovating…we’re going backwards. As our team continues to grow and expand we look forward to the future. Our journey has just begun.